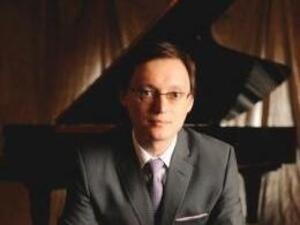 A guest master class by Stanislav Ioudenitch, piano - part of the Lake Como Residency. Read more about Stanislav Ioudenitch. Started in 2016, the Oberlin-Como Piano Academy is an exclusive partnership between Oberlin Conservatory and the International Piano Academy Lake Como in Italy. Each year, up to three students, selected from applicants worldwide, begin a two-year program of study at Oberlin toward an artist diploma. Called Oberlin-Como Fellows, these exemplary young musicians work with Oberlin faculty and master artist-teachers who hold residencies at Oberlin throughout the year. All master classes and recitals presented by the visiting masters are free and open to the public. Past Oberlin-Como guest artists have included Martino Tirimo, Peter Frankl, and Paul Badura-Skoda.